I received this book as part of a GoodReads First Reads giveaway. This book came at the right time in my life. My husband and I are planning on having children in the next year or so, and I am in the early stages of doing some research about what I am in for. Two of my friends had babies last year, and I spent a large amount of time with them. Although both had healthy babies, their pregnancies were both rough, so I have been wanting to do research on what a more typical pregnancy and birth is like. 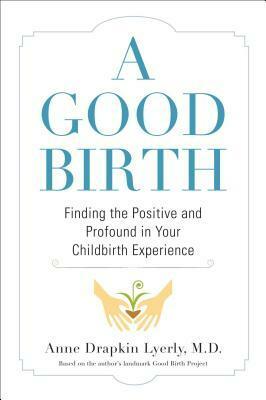 This book was really refreshing, because it focuses solely on the birthing process. I feel like most books focus on (1) getting pregnant, (2) the pregnancy, or (3) what happens after you take the baby home. I rolled my eyes when one of my pregnant friends described her elaborate birth plan, after reading this book, I have a better appreciation for why she created a birth plan. I liked the interviews that were sprinkled throughout the book. I felt like I got a good idea of what childbirth was like for these women. Also, I really liked that when the author referred to research studies, she has the references in the back of the book. I hate reading books that refer to research, but there is no further information. There were two things that I did not like about this book. First, I wish that the book had been more grounded in sociological research. I feel that there must be research on the childbirth process or similar women-only events, and I think this research would have strengthened the book. Second, I feel like the book's audience kept changing. I am not sure who is supposed to read this book: soon-to-be mothers, new mothers, mothers, medical care professionals, the author (I feel like the book was a bit cathartic for her) or someone else entirely. The book needs just a bit more tightening before it is perfect. Sign into Goodreads to see if any of your friends have read A Good Birth. 17.01% "I must admit that I am intrigued by the premise of this book. I am interested in finding out what makes a good birth." 38.54% "There is clearly more to the childbirth process than I thought." 48.61% "I am really enjoying all of the interview snippets, even if some of the stories are freaking me out." 66.32% "Yep, childbirth still sounds like a scary thing..."